Former vice-president, currently jailed, sent to trial by federal judge for submitting allegedly false invoices for travel expenses dating back to 2010 and 2011. 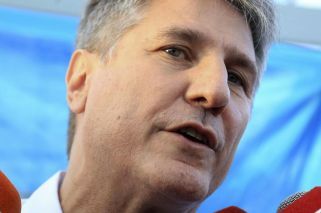 Former vice-president Amado Boudou, currently jailed and serving a sentence for a conviction in the Ciccone case, has been sent to trial by a federal judge for submitting allegedly false invoices for travel expenses dating back to 2010 and 2011. Federal judge Ariel Lijo closed the case file today and sent the case to oral and public trial, the state Télam news agency reported. Boudou, who served as economy minister (2009 to 2011) and later vice-president to Cristina Fernández de Kirchner (2011 to 2015), stands accused of submitting falsified expenses claims totalling more than 19,000 euros, according to Perfil. According to the case, the then-economy minister claimed money back on two invoices from the Bel-Ami hotel in Paris for 9,395 euros and 6,943.23 euros, as well as an invoice for an interpreter for an amount of 3,300 euros. Investigators believe these were falsified. After consulting with the management of the French hotel, Lijo was told the invoices, registered as the "Argentine Ministry of Economy," had numbers and featured dates that do not match the information registered in the Bel-Ami's internal computer systems. Boudou – who was recently transferred to the Ezeiza penitentiary, where he has been imprisoned for a few weeks – is currently facing charges in two other investigations. One related to the alleged fraudulent purchase of high-end vehicles supposedly designated to the Economy Ministry, and another in which he is accused of forging documents related to an automobile. The former vice-preisdent is currently serving a sentence of five years and 10 months in jail, after being convicted of bribery and conducting business incompatible with public office. He was also banned from holding public office. 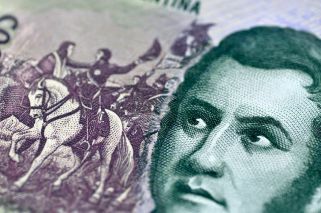 Boudou was accused of using shell companies and secret middlemen to gain control of the Ciccone Calcográfica printing house, which was granted contracts to print Argentine currency as well as material for President Cristina Fernández de Kirchner's election campaign. He claims that he is a victim of political persecution.